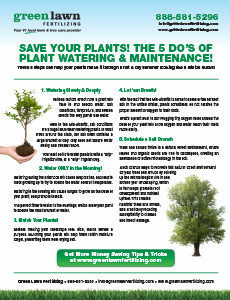 Early morning watering provides less water lost to evaporation due to lower temperatures and less sunlight. 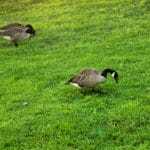 If you’re an individual that saw lawn damage this past summer you will want to pay attention to this blog topic. Watering your lawn in the cooler months coupled with cooler temperatures and rainfall can help repair your lawn from the harsh summer months. 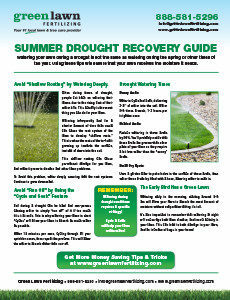 In this blog you will find five smart ways to water your lawn. 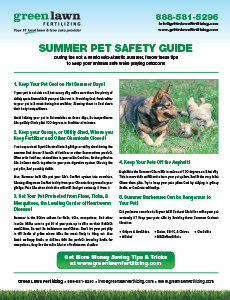 Tip 1 – Water in the a.m. Early in the morning is the best time to water as the turf is cooler and the cooler temperatures keep evaporation to a minimum. Turfgrass Specialist at Penn State’s College of Agricultural Sciences Landshcoot describes the process: “Moisten the ground to a depth of at least four inches – as deep as the roots go – a thorough soaking once a week is better than frequent, light waterings.” The morning is the best time to water because the air is usually cooler and lighter and the wind is less likely to blow the water droplets. 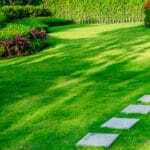 In the middle of the day, the water evaporates too quickly and in the evenings water can cleave to the blades of grass overnight which can yield various lawn diseases. 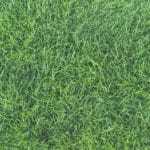 Landschoot later explains if you do want to keep your lawn green, the general rule of thumb is to water heavily, deeply and infrequently. 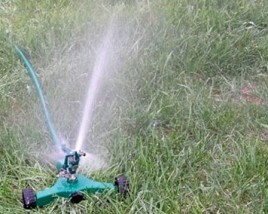 To help maintain a thick green lawn, water with a pulsating sprinkler. Built-in lawn sprinklers are the most efficient and effective means for watering the grass. However, not everyone has those means and resources to do so. For homeowners who don’t, pulsating, revolving sprinklers hooked to a normal garden hose is the next best choice for an established, green lawn. 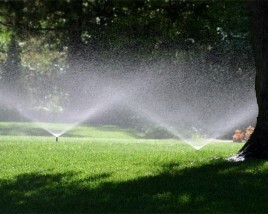 As the revolving, pulsating sprinkler shoots out water at high speeds, it does not become susceptible to high-level winds and evaporation compared to its counterpart oscillating sprinklers. Revolving, pulsating sprinklers are your best choice for mature, thick, green lawns. 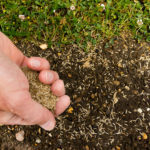 However, for those who just planted seed or do not yet have a mature green lawn the intensified water stream of a pulsating sprinkler can damage your new, youthful turf. 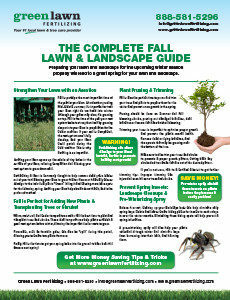 If you fall into this style or level of lawn maintenance you want to make sure to use an oscillating sprinkler. This is a better choice until your new green lawn starts rooting. According to several lawn experts, if homeowners don’t want to water their lawn, fine. Eventually, the lawn will just go dormant just like it does in the winter months. 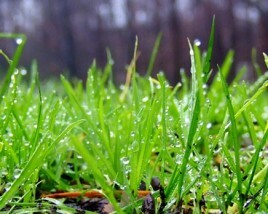 The lawn can go dormant just like it does in the winter without harming the grass—providing it isn’t a drought season. 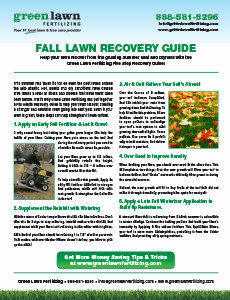 However, allowing the lawn to go dormant, then watering and then discontinuing is very hard on your turf. You do not want to do half the work, stop, and continue it later in the year. You will pressure out the grass and you will become stressed out as you are not seeing results.